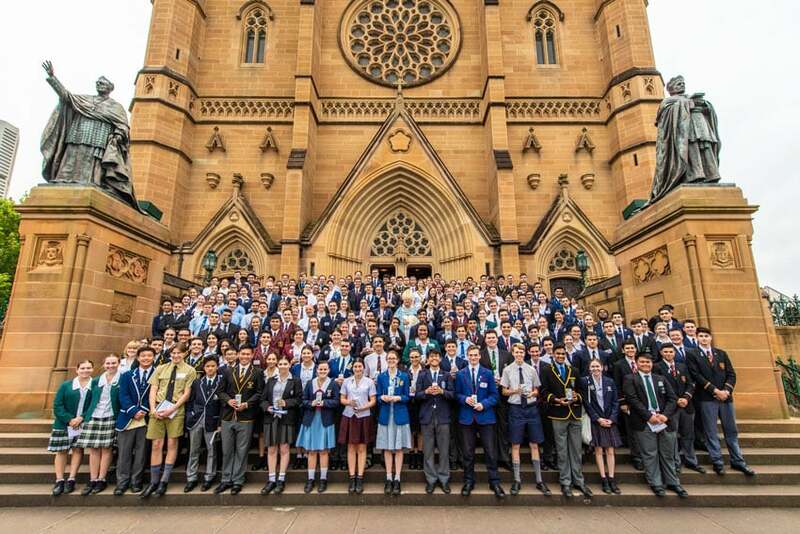 Samuel Potter, Year 11 student at St Aloysius College at Milson’s Point, said he found “very worthwhile” the discussions at the Archdiocesan Student Leadership Forum on 21 November. Most interesting were Archbishop Anthony Fisher OP’s comments on myth-busting the idea of a vocation as being for the “spiritual elite”, he said. 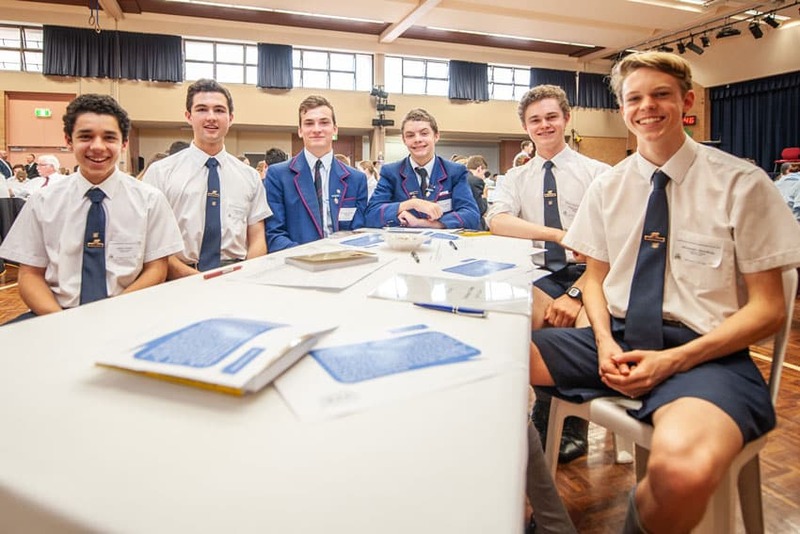 “Our school has a strong focus on careers and excellence in academics, and we’d like to maybe incorporate a focus on vocation-based decision-making in the way the archbishop described as well,” Samuel added. 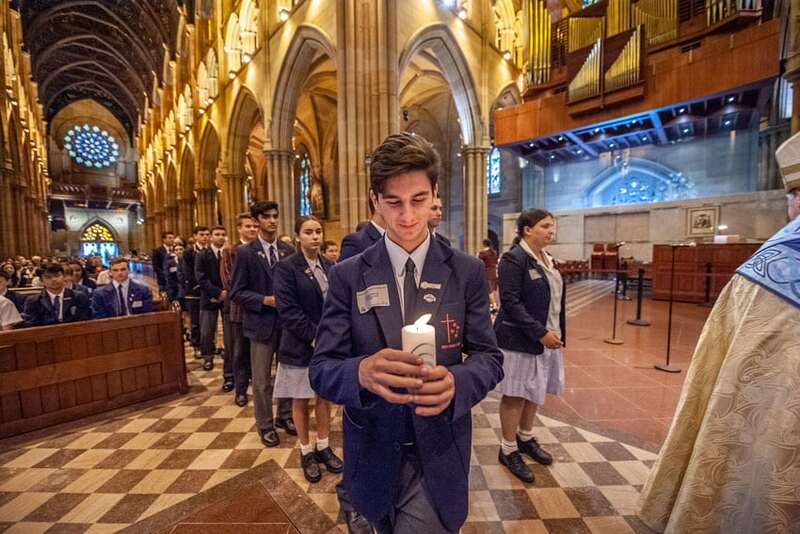 Samuel was one of 200 senior school leaders from systemic and congregational schools in the Archdiocese of Sydney who spent the morning with Archbishop Fisher in St Mary’s Cathedral College Hall. The archbishop gave them feedback from the Synod of Bishops on Youth, Faith and Vocational Discernment held in Rome last month, which he attended as an Australian representative. They then had the opportunity to workshop with him their ideas about how they might minister to their school communities in 2019. “There are some people that spend 20, 30 years trying to work out what to do with their life, what person they’re going to devote themselves to, what cause they’re going to devote themselves to, and when it finally comes time to make a decision their life has passed them by. They’re old. He asked them to remember that “God is mad for love of you, so have no fear, have confidence to make those big and small decisions”. 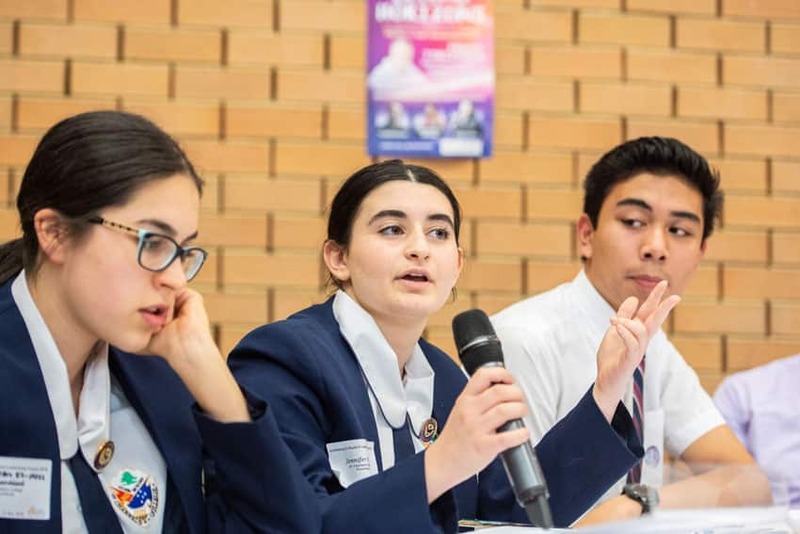 Julia Babic, Year 12 student at Trinity Catholic College, said the forum was “insightful, engaging and meaningful as we as individuals were able to interact and form bonds with other college leaders, as well as answering questions that greatly challenged our faith”.